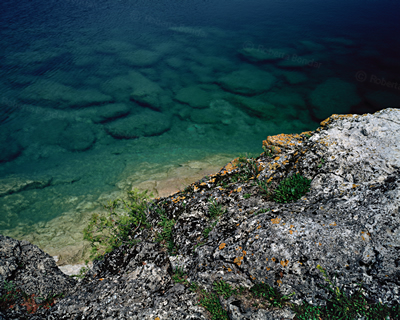 Dr. Bondar’s fine art photographs capture the natural landscape with respect and curiosity. 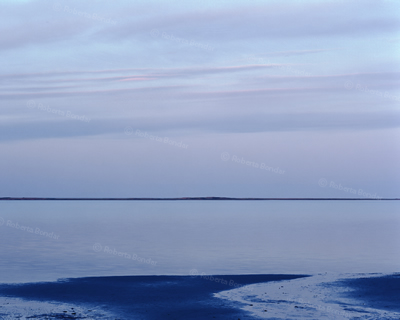 Through these images we can explore both the artistic dimensions of landscape photography and also the diversity and wonder within the various biomes on Earth. 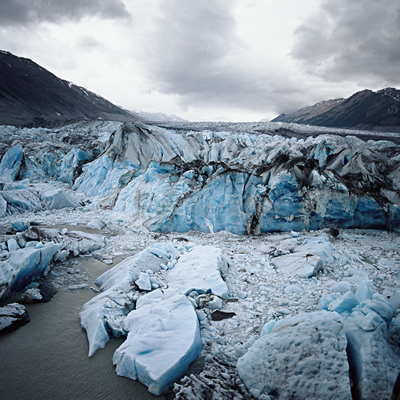 By looking more closely at the biomes, we can begin to understand how intrinsic these ecosystems are to various life forms and, ultimately, the health and wellbeing of human beings. “In the years following her space flight, with the eye of an artist and the wisdom of a well-trained microscopist, Roberta Bondar has focused on observing just one sliver of the thin layer of life: the Canadian wilderness. With their clear and passionate detailing of the forms and moods of the landscape, Bondar’s images belong to the long tradition, embodied most recently in the work of twentieth-century American photographer Ansel Adams, of documenting the natural environment through photography”. 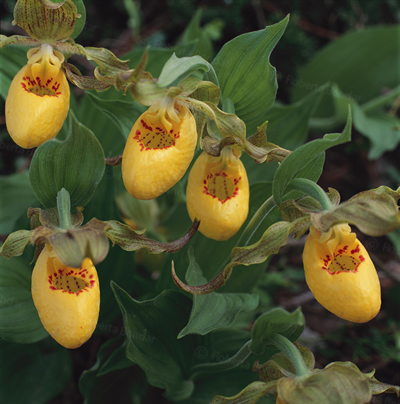 Ann Thomas, Curator of Photography at the National Gallery of Canada in: Passionate Vision ~ Discovering Canada’s National Parks by Roberta Bondar, Douglas & McIntyre Publishers, Vancouver 2000 pp27 to 30. Forests are dynamic and diverse ecosystems, where complex interactions occur between species and ecological processes, from below ground to high in the canopy. Grasslands are open ecosystems dominated by herbaceous (non-woody) vegetation. 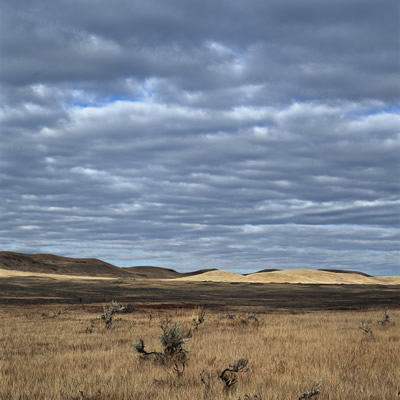 Typical temperate grasslands, like those in Canada, occur where there is low moisture, cold winters, and deep, fertile soils. Maintained historically by drought, fire, and grazing, temperate grasslands are the Earth’s most altered, and one of the most threatened ecosystems, with the highest risk of biome-wide biodiversity loss.1, 2 Although other ecosystem types, such as oak savannahs, alvars, and dunes support grasslands, this finding focuses on prairie and steppe. Wetlands are land saturated with water all or most of the time, as indicated by poorly drained soils and vegetation and biological activity adapted to wet environments.1, 2 They are of two types, organic (peatlands) and mineral, and are classified in five categories: bogs and fens, which are both peatlands; marshes and shallow water, which are both mineral; and swamps, which can be either.1 Canada has approximately 1.5 million km2 of wetlands.1, 3 This represents about 16% of Canada’s land mass and approximately one quarter of the world’s remaining wetlands.1 Thirty-seven of Canada’s wetlands, an area covering almost 131,000 km2, have been designated as wetlands of international importance.4 This key finding discusses freshwater wetlands – estuaries, salt marshes, and other marine coastal wetlands are discussed in Coastal Biome. 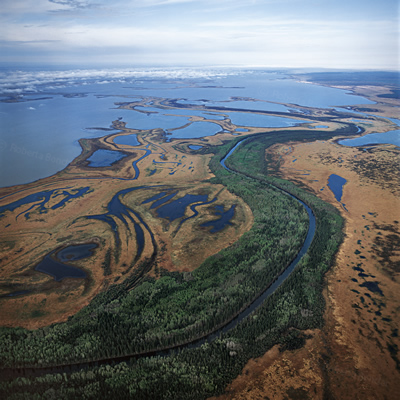 Coastal ecosystems occur at the interface between land and sea. They include intertidal zones, estuaries, salt marshes, mud flats, seagrass meadows, beaches, cliffs, banks, and dunes. Bounded by three oceans, Canada has the longest marine coastline in the world, with 29% of the world’s total coastline. The global marine ecosystem covers over 70% of the Earth’s surface. It is a complex system, in constant motion, moving not only nutrients, dissolved oxygen, carbon, and water masses, but also bacteria, algae, plants, and animals, among regions. The millions of species estimated to live in the ocean dwell in a wide range of habitats, including the open ocean, sea floor, sea ice ridges, hydrothermal vents, cold seeps, coral and sponge communities, seamounts, ocean trenches, and continental shelves. Federal, Provincial and Territorial Governments of Canada. 2010. 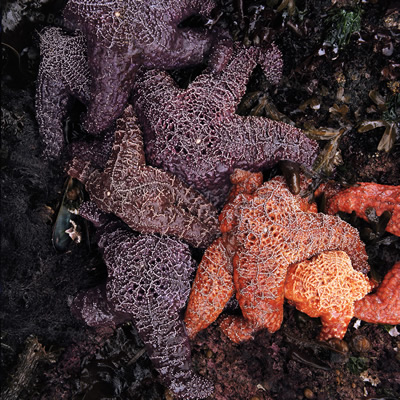 Canadian Biodiversity: Ecosystem Status and Trends 2010 [online]. Canadian Councils of Resource Ministers. Ottawa, ON. Deserts cut cross our planet along two fringes parallel to the equator, at 25–35° latitude in both the northern and southern hemispheres. The Desert Biome can be defined climatologically as the sum of all the arid and hyper-arid areas of globe; biologically, as the ecoregions that contain plants and animals adapted for survival in arid environments, and, physically, as large contiguous areas with ample extensions of bare soil and low vegetation cover. 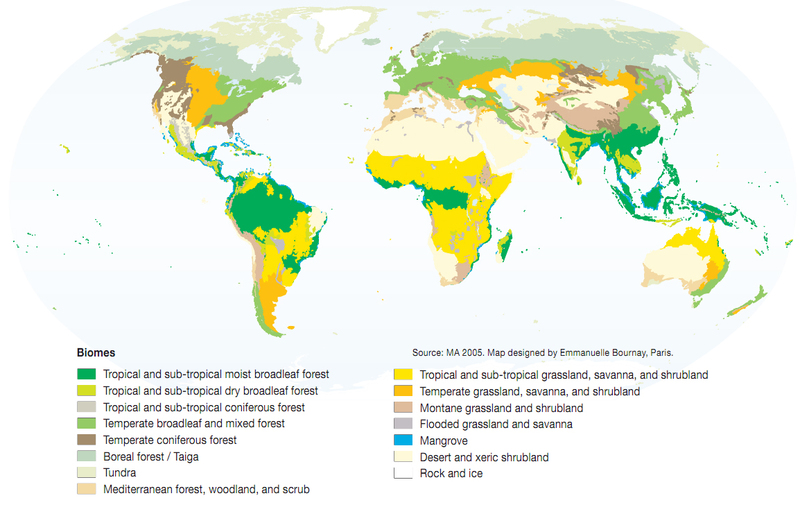 A map produced by overlaying areas under these three criteria shows a composite definition of the world’s deserts, occupying almost one-quarter of the earth’s land surface, some 33.7 million square kilometres.